Want to know what is going on with Cowboy Cleaners? Click here to see our online blog. We can come to your home or office. We pick up and deliver twice a week - every week and here's the best part, you don't have to be there. Perhaps you don't need us to come twice a week - that's ok. We can come once a week or we can even offer call in service. Please feel free to call 210.710.9389 when you need service and our driver will be there on the next scheduled day in your area. To us everything. So you can cross this errand off your list and spend more time doing things you want. Let us set you up with one of our friendly route drivers. 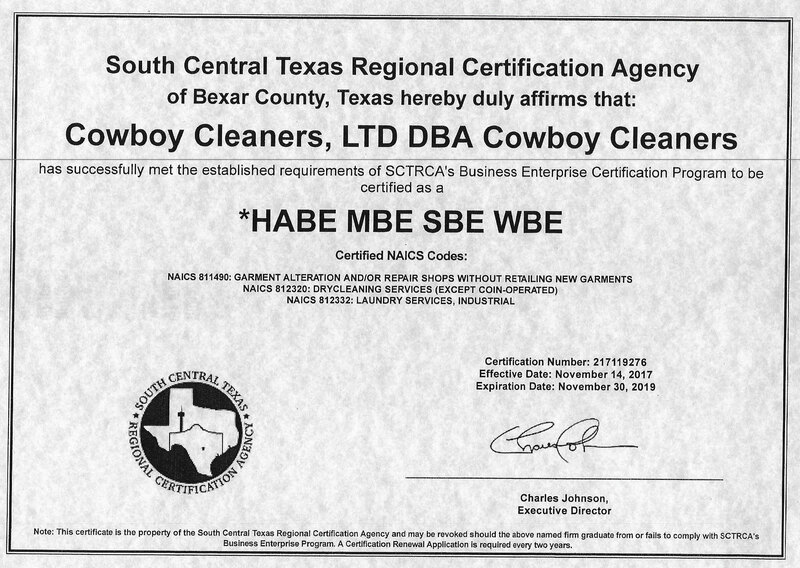 Cowboy Cleaners is one the few cleaners in San Antonio with a dry clean and laundry institute "Certified Environmental Drycleaner." This Prestigious award is given to drycleaners who study he environmental impact of dry clean solvents and are tested every 3 years. we use a natural and gentle solvents to clean your clothes. 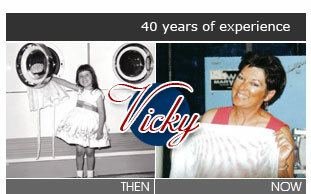 We use natural starch and sizings while pressing your clothes. This year we introduced plastic hangers that can easily be recycled and brand new biodegradable plastic bags. So in 10 months it will be dust in the land fill or your compost. Even the plastic bags we use on your comforters and sweaters can be used for winter storage or re-used for other purposes. We live here too. We care about making sure that our children and grandchildren have clean water and land. We try to introduce any environmentally friendly products we can as long as it does not effect the quality of our cleaning. We make sure that our cleaning and pressing is the best and that we use everyone green product we can.